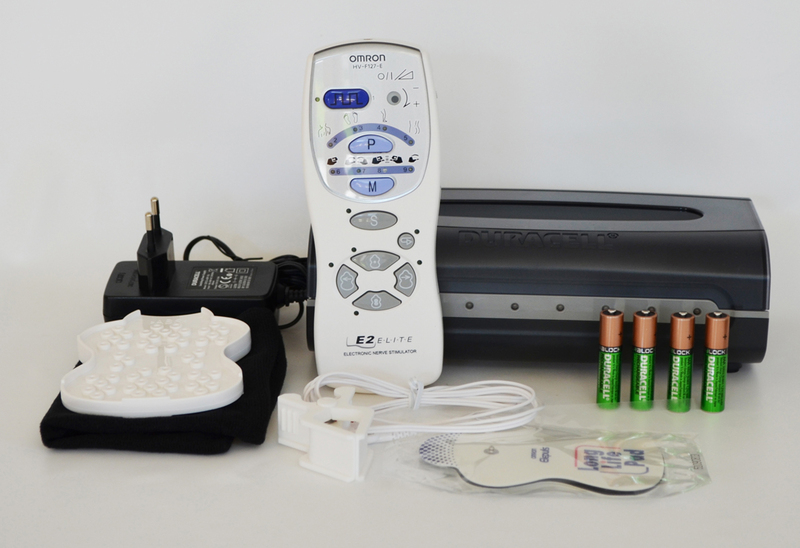 TENS Massager in combination with the Duracell Universal Multicharger for rechargeable batteries and 4 AAA rechargeable batteries. 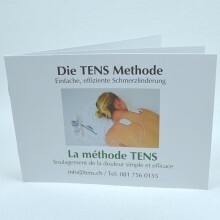 TENS is in the field of pain relief a kind of therapy, that has proven itself. 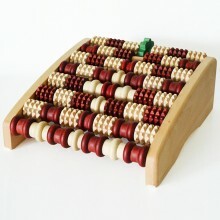 With this practical mode of low-tension treatment without side effects, you can have various pains reduced and relieved. 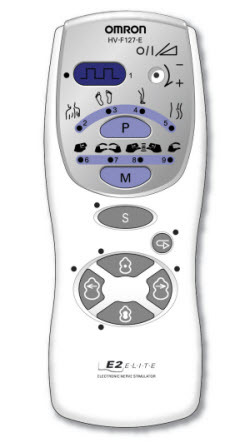 The massage device Omron E2 Elite TENS offers a lot of possibilities: choose between nine stimulation programmes, four massage programmes and four zone programmes, in order to adapt the treatment to every part of the body. You can also use this high-performance device for acute pain. 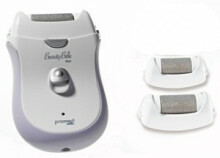 This Electronic Nerve Stimulator enables you to reduce and relieve your pain symptoms. 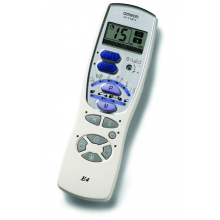 The treatment alleviates muscle and nerve pain through gentle stimulation. For active people, it provides a flexible massaging experience which has a very beneficial effect on muscle and shoulder or neck stiffness. 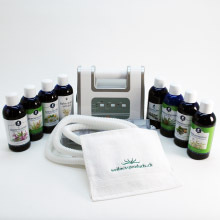 This unit is also very good for soothing overall bodily fatigue and improves the blood circulation in the treated areas. 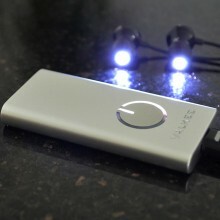 The Duracell Multicharger is included: With this compact Duracell charger, you can charge up to 8 batteries simultaneously in approximately 3 hours. The delivery includes also 4 rechargeable AAA batteries. 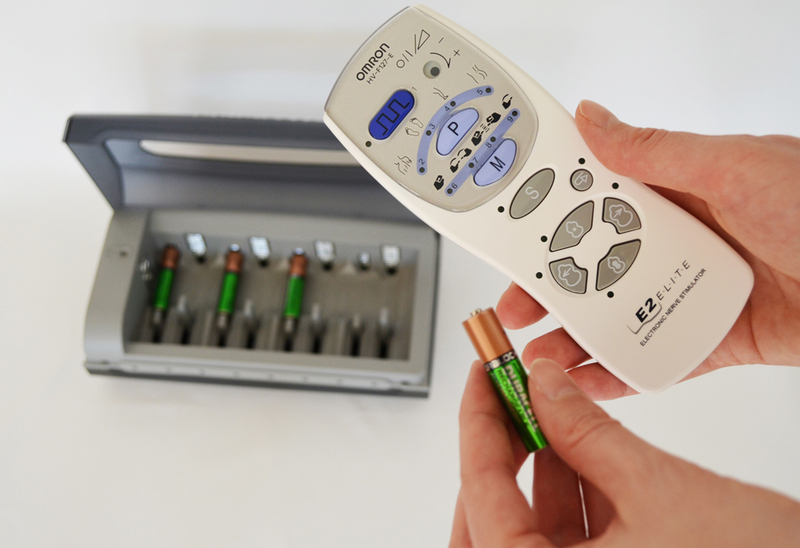 The Duracell Multicharger can be used to charge following types of rechargeable batteries: AA, AAA, 9V, C and D.
•Adjustable left/right pulse rate to select a more intensified pulse on the left or right pad: also in combination with a pulse that works on a small point area or on a wider surface. •Automatically switches off when the pads are not attached or not attached properly. 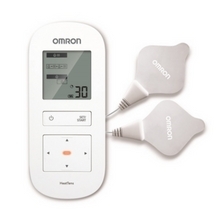 •Relaxation, revitalisation and alleviating pain by using the Electronic Nerve Stimulation principle. •Massages by gentle electrical pulses for tense muscles, tiredness, stress, stiffness and everyday complaints. 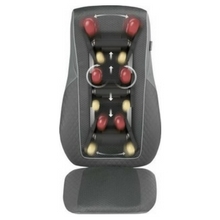 •Region Button - 4 programmes for shoulders, sole, calf and lower back. 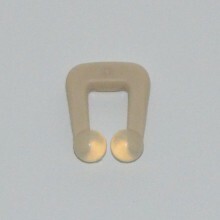 •Massage Button - 4 programmes for tapping, kneading, pushing and rubbing. •4 Special Modes - soft, repeat, point and wide. 1x Omron E2 incl. safety plug and a soft storage case. 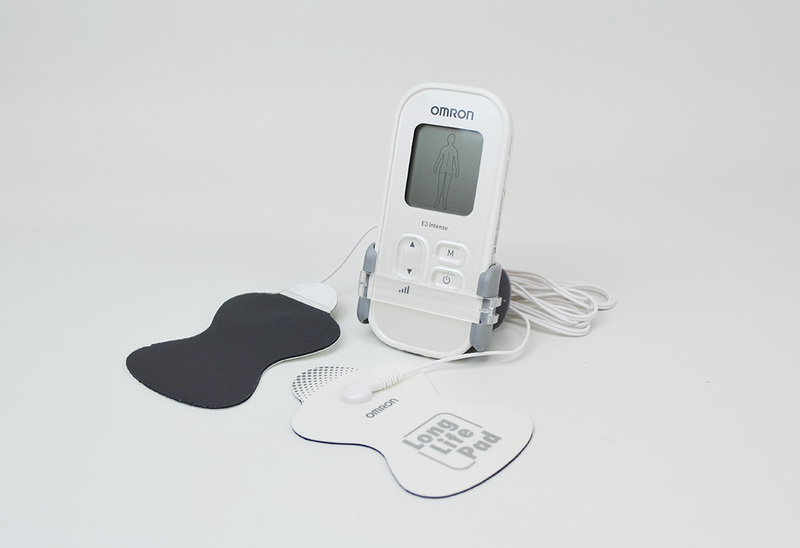 •Quick Relief Button (1200Hz) - for muscle pain. 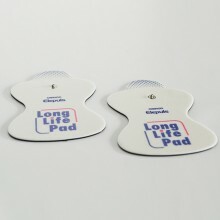 •Washable Long Life pads are biologically safe. Contraindications: TENS machines must not be used by patients using a demand type pacemaker. 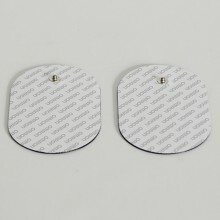 Electrode pads should NOT be placed at the front or side of the neck. Units should not be used when driving or operating machinery. Precautions: Pregnant women and patients who have heart disease or epilepsy should seek medical advice before using TENS. 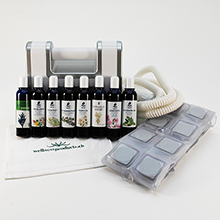 Never use TENS or any other method of pain relief to mask undiagnosed pain as this could require urgent treatment.